No doubt, the Beach Boys had it right when they sang of Aruba, Jamaica, Bermuda and Bahama, and that near-mythical land off of Key West called Kokomo. The fact is, any of the above tropical paradises would do nicely as a honeymoon resort – the kind where the trade winds softly ripple the palm trees, where the sugar-white sandy beaches meet the turquoise-colored waves, and where newlyweds clink glasses to their new lives together. Get going. You don’t want to procrastinate when planning your honeymoon. The best flights and accommodations, price-wise, are there for the taking for early birds. But if you wait, expect to pay a premium price. That’s especially true if you’re planning a cruise, where the best deals are taken often a year in advance. Partner up with a travel agent. Getting professional help from a travel expert is just good business for honeymoon world travelers. An agent who knows the ropes, has great contacts in far off bourses, and has the nose for great flight and hotel deals, is well worth the money. Go ahead and leverage your wedding registry. Prior to your wedding, slice off the potential proceeds from your wedding registry for your honeymoon. Let your guests know you’re doing so. That way, friends and family can make a de facto contribution to the honeymoon trip of your dreams, and it’s not on your dime. Watch for “surprise” costs. Any trip brings the risk of hidden costs, but a honeymoon, where the concept of fun at any price can reign supreme, is especially vulnerable to hidden costs that can dig a big hole in your pocketbook. Meals at high-end restaurants, package tours that include excursions you’ll never go on, or pricey add-ons for things like local flights or rental cars aren’t a priority when you’re planning a honey moon trip, but they can be a reality when you’re on that trip. Plan with a calendar. 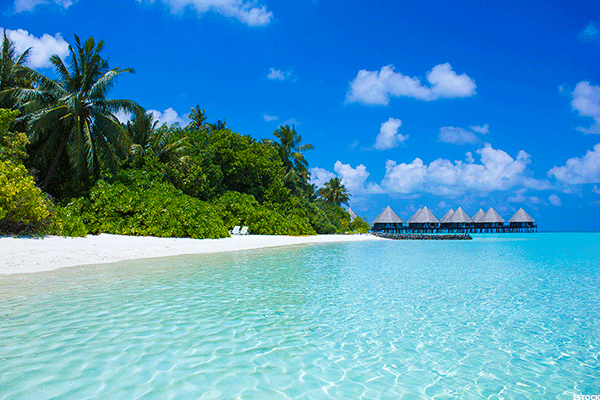 It’s highly recommended that honeymooners plan their trips with seasonality in mind. Like the Amalfi Coast scenario listed above, some venues aren’t all that accommodating to visitors in off-season, and some, like Hawaii, can actually offer deep discounts when during off-season, September through November. It’s up to you to check the calendar and make the right call. 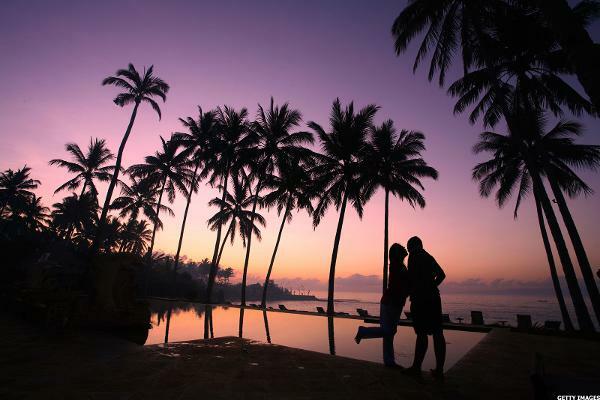 Ranking the best honeymoon spots across the globe is no easy task – it would take years to cover the top 20 or so in a comprehensive fashion, but these seven honeymoon spots should be at the top of anyone newlywed’s list. Native Italians call it the Costiera Alalfitana – a stretch of gorgeous, 50-mile coastline along the country’s Sorrentine Peninsula. The village of Amalfi is the jewel of the entire coast, and is a beacon to newlyweds who dream of Italy when they think of honeymoons to remember for a lifetime. Don’t visit from November to early April – Amalfi largely closes down for non-tourist season. Aim for May or September, when tourist traffic is down and restaurants and shops remain open, and are eager to do business with newlywed tourists. While you’re in Amalfi, check out the Duomo, and Saint Andrew’s Cathedral, one of Italy’s most beautiful cathedrals (and that’s saying something.) Make sure to stop along your walk through Amalfi and grab some locally-grown lemons, and go out of your way to try Amalfi’s world-famous Limoncello. Make sure to visit Positano, one of the most romantic towns on the entire Amalfi Coast – view it by sea craft and gaze up the cliffs at some of the most colorful sites you’ll ever see on the Mediterranean. Hungry? 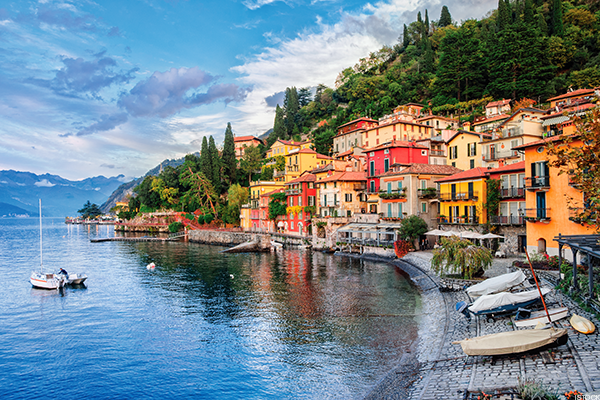 Then head up to Naples, home of the pizza, and sample some of the town’s finest dining spots. The U.S. Virgin Islands are an easy-to-get to honeymoon spot for U.S. newlyweds. The islands, 737-square miles in size, have coasts on both the Atlantic Ocean and the Caribbean Sea – the only U.S. territory that can claim that fact. Newlyweds can settle in on St. Thomas, and set sail to local islands like St John’s and St. Thomas, for some quality time, and some private times. The U.S. Virgin Islands, especially Charlotte Amalie, the largest historical town in the U.S. (located in St. Thomas), offers some of the best shopping in the Caribbean, and has for centuries. 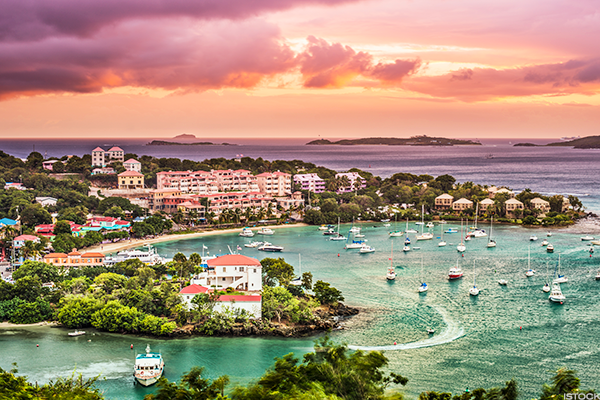 Back in 1607, the Jamestown settlers stopped in on Charlotte Amalie for supplies, and St. Thomas has been a mecca for tourist shoppers – and newlyweds – ever since. Maui has a grand reputation as one of the greatest islands in the world – Conde Nast has voted Maui as the best a whopping 16 times. The isle has 30 miles of colorful beaches, in some cases in hues of red, white and black sand coastlines, and offers honeymooners 80 different beaches to choose from – the largest number of beaches on the entire Hawaiian Islands. 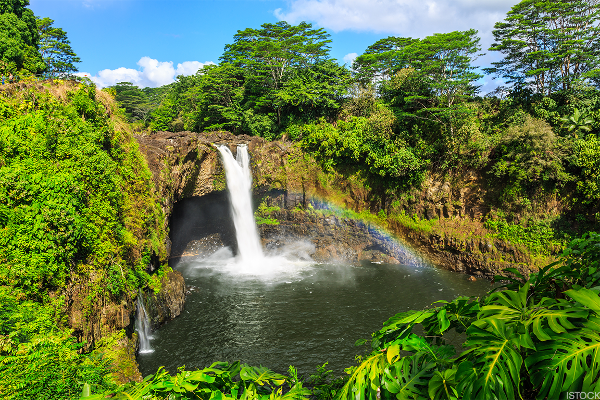 Take advantage of the couples’ spa package at the famous Spa Grande, and spend a full-day sightseeing on the Road to Hana, one of the most scenic coastline vistas in the world. Otherwise known as French Polynesia, Tahiti is actually larger than a honeymooning couple might think. Overall, Tahiti and its surrounding islands (118 in total) cover two million square miles in the beautiful, tropical South Pacific. Tahiti is known for its overwater bungalows where many honeymooners elect to stay. Getting into Tahiti is easy for U.S. and Canadian citizens – visitors only need a valid passport for a six-month-or-less visit, along with a round-trip ticket in an out of the island paradise. Oh, and be prepared to speak some French – that goes a long way in communicating with many of the locals. City-wise, Paris is an ideal, entirely romantic international destination for newly-married couples. 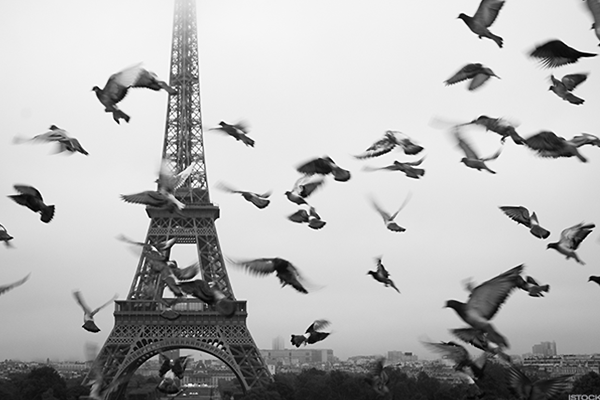 Beyond the majesty of the Eiffel Tower, and the magic of the City of Light, grab some culture while you’re in Paris. Check out the city’s wonderful museums, like the Louvre, the D’Orsay, and the Rodin between stops for a glass of wine in one of Paris’s café’s and outdoor dining spots. Better yet, pack a picnic basket and a bottle of French wine and settle in the banks of the River Seine, and gaze at one of the most cities of the world. Do it at dusk, and wait for the Eiffel’s lights to go on, to get the full Paris effect for newlywed lovers. Who’s up for a honeymoon safari? That’s the promise for newlyweds who set out for the southern tip of South Africa, at Cape Town. 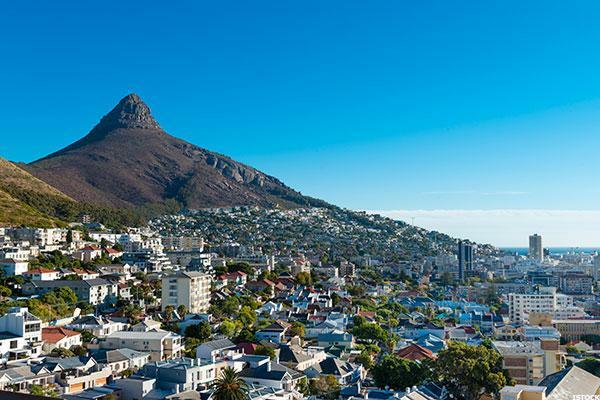 The city offers honeymooners all they can as for memories of a lifetime, including a big city vibe, with great restaurants, bars, nightlife, and music in downtown Cape Town. Toss into the mix glorious ocean views and access to some of the best safari options in all of Africa. While you’re there make sure to take in the 90-minute drive to the Cape of Good Hope, the very bottom of the African continent, and a place few non-South Africans ever get to see in their entire lives. Hey, it’s not every day you can see a penguin and an elephant in their natural habitats on the same trip. But that’s what South Africa can offer for adventurous honeymooners. 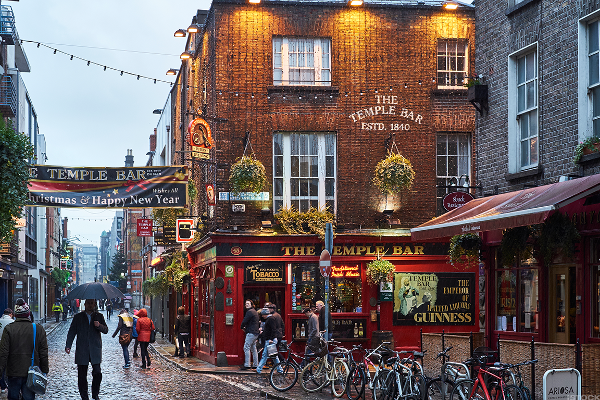 Sure, you can aim for a specific city or town in Ireland for a honeymoon visit, with local friendly places like Dublin (actually, a “must visit” trip when in Ireland), Cork, Galway, or any one of the dozens of other great landing spots on the Emerald Isle. But why not aim for the whole country? Visit grand places like The Cliffs of Moher, or one of Ireland’s numerous castles and cathedrals. Or, take the Hollywood route and set your sights on the vistas from some of the most high-profile shows on the screen, including Game of Thrones and The Tudors, the Harry Potter films, and The Princess Bride. Then, sit fireside at a local pub and sip a Guinness and listen to some of the finest music anywhere, and enjoy one of the most offbeat, but truly memorable, honeymoons in the world. Next articleYou have to see the color of Zara heiress’ Valentino wedding dress!